I’ve long been fascinated by the lives and history of the Knights Templar, not for any religious or masonic reasons, but just because I think it’s a very interesting period of history. Their influence spread far and wide and I suppose my interest was first piqued when travelling around southern France and coming across some of their walled villages, towns and castles. 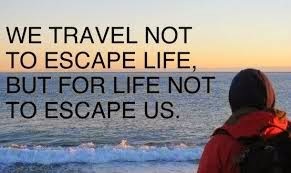 We plan to use the Templar sites as a basis for a future France tour in our campervan, probably dipping into northern Spain too. Before our recent trip to Scotland, we popped into our local library in Llangefni, to pick some books to take with us; it’s September in Scotland, it’s bound to rain and so we’ll need something to read when sat in the van (it did and we did!). My eye caught the title of a book written by Robert Ferguson - The Knights Templar and Scotland (ISBN 978-0-7524-5183-1). A quick flick through showed they may gave spent some time in Argyll, where we were heading on our trip, so I took out the book and read it before we travelled, renewing it to take with us. It proved to be an invaluable source and helped shape our trip, although I should add there is no hard evidence and much of what is written is speculative. I’ve summarised the history below, although if you want to learn more please do get hold of a copy of the book and make up your own mind. On 14 September 1307 King Philip IV of France signed an order for the arrest of all Knights Templar for heresy, as well as seizing all their lands and wealth. The order to dissolve the Knights Templar was approved by Pope Clement V. The order took effect on Friday 13 October 1307 and any Knights were rounded up without warning, imprisoned, badly tortured and then killed, mainly through burning at the stake. Although many (including the Grand Master - Jacques de Molay) were arrested that night, many escaped, with evidence that they were tipped off a few weeks beforehand. This gave them time to gather much of their wealth and move it to the port of La Rochelle (where the Templars kept their fleet), where it was loaded on to ships and sailed, with a large number of Knights to Portugal and Argyll, Scotland. Their escape to Portugal is well documented, but the trip to Scotland less so. The alleged route they took to Scotland is not documented, but is known is that they probably sailed up the sound of Jura to Argyll. It's possible to support this by the Templar gravestones in the churchyards at Kilmartin and Kilmory. The theory is that they probably landed at Castle Sween, which is located on Loch Sween between Kilmartin and Kilmory and is said to be the oldest castle on the Scottish mainland. There is much more to the history of the Knights Templar in Scotland, including their lands and settlements in eastern Scotland, south of Edinburgh and their alleged support of Robert the Bruce at the Battle of Bannockburn. But, given we were travelling the west coast and Argyll in particular, I was focusing my visits on Castle Sween, Kilmartin and Kilmory. Our tour of Scotland took us along the Kintyre peninsula after visiting the Isle of Mull. This area is one of the most important historic sites in Scotland, with evidence from the prehistoric, neolithic, iron and bronze ages. It’s also this area that is purported to have strong links to the Knights Templar. 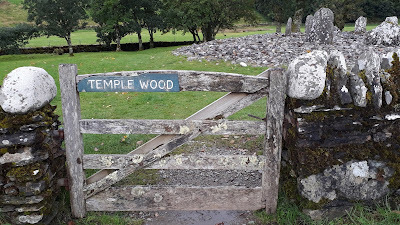 During our visit to Kilmartin to view the neolithic, bronze and iron age sites, I was also keen to check out the alleged Templar links to this village. Two of the old stone circles are enclosed within Temple Wood, an area that was planted up much later than the circles, so may have a link to the Templars, given its name (there is also a village in eastern Scotland called Temple that has confirmed links to the Knights Templar). But it was Kilmartin church that provides the clearest possible link to the Knights Templar. There are a number of grave slabs either in the display house or in the graveyard that would suggest strong links. One grave slab shows a sword with a scallop shell shape as the pummel (at the top of the hilt). The scallop shell is the symbol of the Christian pilgrims, then and now seen carried by those pilgrims completing the Camino de Santiago Compostela. The Knights Templar were originally formed as a warrior group of monks, tasked with protecting pilgrims heading to Jerusalem. There were other grave slabs depicting religious knights and swords, although the link to Knights Templar remains tenuous and unproved. I had planned to also visit Castle Sween and Kilmory the next day, but unfortunately Storm Ali was inbound and due to hit the area we were in, so we decided to cut short our trip and head for home ahead of the bad weather. But we'll definitely return to this part of Scotland. If you’re interested in the Knights Templar and are visiting Scotland, these areas are well worth a visit. On another trip I also hope to visit their settlements in the village of Temple and Rosslyn Abbey in eastern Scotland.